North Merrick, New York, USA. March 31, 2018. 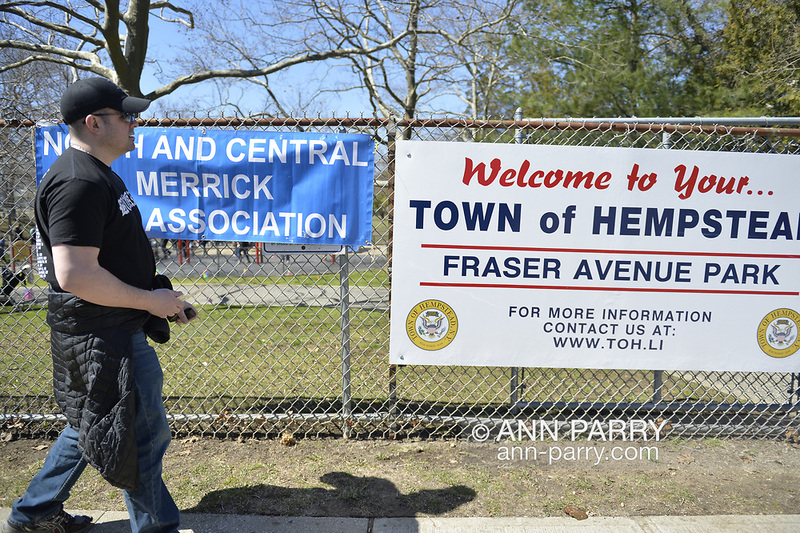 LOU CICCONE, Co-Pesident of North and Central Merrick Civic Association (NCMCA), removes NCMCA sign from Fraser Park fence at the end of the Annual Eggstravaganza.